Guest Author: Megan Kelly & Giveaway! 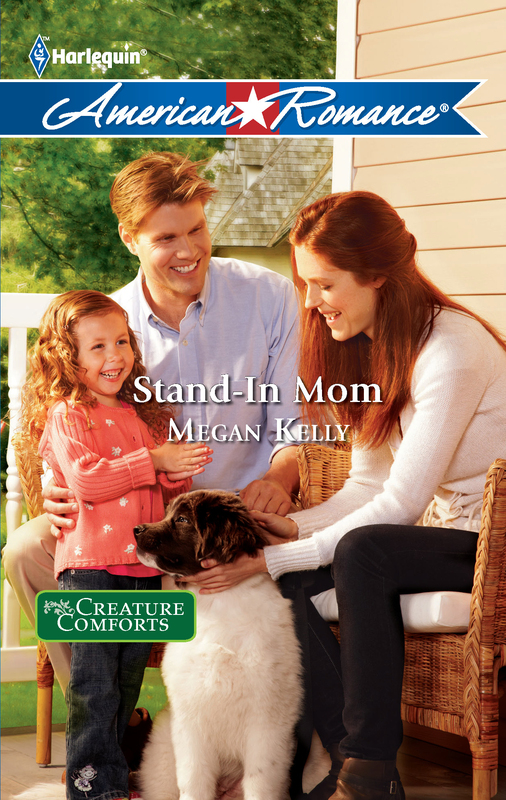 I’m so pleased to have award-winning author Megan Kelly on the blog today. She writes absolutely charming and delicious contemporary romances, and she has two new books out–Christmas stories, too! And today readers have two chances to win her books! Can you tell us about that, Megan? Thanks for having me, Vanessa. I’m offering two separate giveaways: a digital copy of Santa Dear, the first Christmas in Stilton book. For those who don’t win, you can buy it at Amazon, Barnes and Noble or Apple (iBooks). 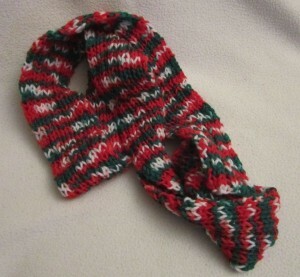 The second giveaway will be delivered via snail mail: a paperback of Stand-In Mom (Harlequin American Romance 1371) and a scarf I knitted, which is similar to the one mentioned in my latest release,Holly & Ivey. Wow! That’s an awesome giveaway, Megan! Now let’s chat a bit about your books. How did you come up with the story for Holly & Ivey? My friends helped me brainstorm one night in a hotel. A publisher had a call out for a holiday story, but the deadline fell mid-way during my vacation with my husband. I liked the idea, so I decided to publish it myself. What can you tell us about it? Holly MacDonald rushes back to the small town she left as a child to prevent her friend from marrying an unfaithful groom. Her old buddy, Luke Ivey, is the best man who intends to stop her interference. She’s no longer his tomboy pal, and he’s no longer her nerdy sidekick. They’re attracted to each other, despite their different views on the wedding and their living four hours apart. But he’s tied to the land, and she’s climbing the corporate ladder in Chicago. When “The Wedding March” fades and Christmas is over, will they stay together? Do you have a favorite Christmas recipe? My mom makes the best fudge, but unfortunately, there’s no recipe–I’ve even tried watching her and writing it down, to no avail. I like to make noodles to go with the turkey and mashed potatoes, and a batch or ten of Nestle Toll House chocolate chip cookies (recipe on bag). Here’s a favorite of mine, though my kids don’t care for it, due to the nuts. I found it in a book by Silhouette author Sandra Stanford and eagerly anticipate these every year. Melt combined morsels in top of double boiler over boiling water OR melt in microwave. I do this, over a bowl of water. When chips melt, stir together, then stir in peanuts until coated. Drop by teaspoonfuls onto waxed paper. Let cool and harden. 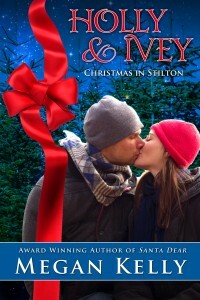 Don’t miss Megan’s new release, Holly & Ivey: Christmas in Stilton, book 2. Available at Amazon, Barnes and Noble, and Smash Words. Readers, to win one of Megan’s great prizes, just tell me what your favorite kind of candy is, especially at this time of year! 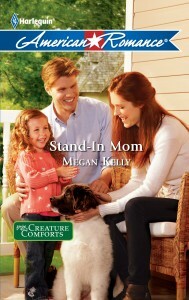 And please visit her website at www.megankellybooks.com to get the scoop on the rest of her books! Holiday Gifts of Love Blog Hop!! My favorite candy this time of year is mint hershy kisses I love the chocolate and mint together on cold winter nights. Those are great. Love the caramel ones too! That’s why we love the holidays – calorie free eating! I love Christmas stories. My favorite candy is something my aunt Sue makes. I am not sure it has a real name, but it is delicious. It is made with oreos and cream cheese that has been in a food processor, then she makes them in small balls and dips them in white chocolate! Gah!! I want to make those right now, Kimberly! Never heard of it but you know I’ll be looking for that recipe. my daugther makes those, she calls them Snowballs. She found the recipe online. I love this story can’t wait to read it. My favorite candy is the chocolate covered peanut butter balls my sister makes us every year, She always has a box full of goodies. I love the scarf and colors too. I been crocheting toilet paper roll covers for Christmas presents. Good work, Penney! Saving money and giving a personal gift – nice! Penney, that’s a great idea! I have some yarn leftover and I’ve been making baby hats. No reason! We’ve been making a lot of sweet treats for the influx of visitors we expect, but our favorite is chocolate fudge. Yep, it’s easy to love chocolate fudge! Do you have a family recipe? I’ve never found anything other than Russell Stover that is as good as my mom’s. Holley, I just got my first Candy Kisses bag of the season to stash in my pantry. And I bought some for cookies with the kiss on top my daughter likes to make…if the kisses last that long. I love “puppy chow,” which is chocolate and peanut butter coated Chex tossed in powdered sugar. The kids and I have a great time making it every year and having it on Christmas Eve with some hot chocolate. I bought some called People Chow in KS last week not made with Chex and not pb. (frowny face) What was the point of making it?? Hello Megan! I am delighted that you could share with us this morning. I hope that you are well. ~ My favorite this time of year is divinity! Yum!! Wishing you a safe & very Merry Christmas & a prosperous 2013! Sandi, I must admit that I’ve never had divinity. I never heard of it until 6th grade when my gf brought it to our class party. I’ve never made it…yet. Seeing y’all is so much fun! Thanks for coming by today. My favorite candy for Christmas are “Pretzel Turtles” which as soooo easy to make. I just put small round or square pretzels in a single layer on a parchment lined pan. Place one Rolo candy on top of each pretzel and bake in a 300º oven for 4 minutes. While the the candy is still warm, press a pecan half onto each candy covered pretzel. Cool completely before storing in an airtight container. De-lish! They sound delish, MaryEllen. I love Rolos! Caramel and chocolate are sure winners! I love “easy” recipes, so I’ll have to try this one. Yep, and I love chocolate fudge best. My favorite candy would have to be hersheys hugs. They’re the milk chocolate striped with the cream ones. I love them! Krysten, I’ll have to look for them. Hershey’s sure knows how to please us chocolate lovers! Peppermint bark!!! My hubby’s is Stilton Cheese. I haven’t had ribbon candy since it was in my stocking as a kid. Must remedy that! My favorite candy is chocolate fudge. Many thanks for this lovely giveaway. You’re welcome, Anne. Thanks for stopping by. Oooo. Peanut butter fudge. Believe it or not the best I EVER had was my grade school cafeteria. My favorite is my moms fudge as well. I have tried to make it several times and it just doesn’t taste quite the same. Anything with nuts and caramel and chocolate is good for me! Thanks. I hope we all get the candy we yearn for…because we’ve all been good, right? I know I’ve been good!! Thanks so much for spending the day with us, Megan! I love mint M&MS. They only come out at certain times of year and Christmas is one of them. Now I feel I’ve missed out on something wonderful. Have to hit the store tomorrow. Winner chosen at Random for the free pdf of Santa Dear. Please send me your email address at megankellybooks AT att DOT net: Erinf1. Congratulations. I will need the snail mail address of this winner for a paperback copy of Stand-In Mom and the scarf. Email it to me at megankellybooks AT att DOT net. I loved both the Christmas stories, but especially Holly and Ivey! It’s hard to pick a favorite candy, but how about milk chocolate fudge?